I thought "Pokémon the Movie: Hoopa and the Clash of Ages" was a Japanese commentary on Western culture personified in "Hoopa, the hooper that could not loop" (my subtitle). Hoopa has two forms (as do many Pokémon), and as are believed to exist in the Buddhist view of ourselves: the small (unenlightened) and large (enlightened) self. We see the giant form of Hoopa first who uses giant hoops to move (or steal) things from anywhere in the world. Hoopa's power rests in this telekinetic ability. Herein lies the first parallel with Western culture. The Japanese have a bit of a tendency, in my limited experience, to see the British and their descendants as thieves, or "vikings" as they tactfully put it, conquering the world and taking it home. The seven hoops of Hoopa (one around each of his six arms, and one around his waist) may correspond to the sense of Buddhism (although there is one too many) which include the sense of the heart. From some Japanese points of view Westerners look upon nature and the world as a source of things to take, rather than as something with which one feels in harmony, to an extent unified. Hoopa finds himself internally conflicted and unable to evolve into his large self who remains trapped in a bottle by a religious organisation that bears more than a passing resemblance to Judeo-Christianity. From a Japanese perspective Western culture separates God and humankind whereas in Japan, the enlightened, a supreme martial artist for instance, becomes one with God or the Buddha - which tend to be seen as the same things. This inability to evolve into his large self, and being in conflict with it, parallels Hoopa's inability to pass through his own hoop. As we have seen Hoopa has six hoops (plus one around his body) that he uses to move or plunder the cosmos. He seems partially able to pass through one of his hoops (the one around his middle) but unable to pass through any of his others. This inability to pass through his own hoops is due to Hoopa's lack of gratitude. Through his experience of growing up once again as small Hooper, however, Hoopa learns to love and feel gratitude and finally, when he does this he is able to pass through one of his own hoops. In this sequence, before the triumphant auto-looping-hooping the hoop, and overcoming self-conflict, Hoopa imagines himself growing up and all the love he has received. This introspection - literally seeing himself - works on a lot of levels as the defining characteristic of Japanese culture. The Japanese believe their heart to be a mirror, are found to literally have a mirror in their heart, they are (through the practice of Noh and Karate forms) able to see themselves from a perspective outside, and use this ability to see themselves from the points of view of others. Autoscopy is also especially noticeable in the last letters of suicide pilots and the Japanese version of psychoanalysis: Naikan therapy. This self-seeing, or self perception may be what the whole "Pocket Monster" mythology is about as represented by the Pikachu Satoshi Diad. There is a monster within us, sitting on our shoulder, who sees us, but at some level, or in some way, Satoshi and Pikachu are one. Perhaps in a final Pokémon movie this fact will be revealed. Or perhaps it already has. I have only seen two Pokémon movies. Reading perhaps far too much into the iconography, it seems proper that Hoopa should be appear from out of one of his hoops (little Hoopa), have hoops on his ears (little Hoopa) or have one of his hoops as a hole at his centre (Big Hoopa) since Westerners do feel able to perceive themselves, linguistically. Only being able to perceive ourselves through this especially dark mirror, we are able to wreck destruction on an unparalleled scale, believing that anything that can be linguistically justified is acceptable. Hence a Briton feels able in saying that the British enforced importation of narcotics into China, for more than a hundred years, was acceptable because "the Chinese chose to smoke (opium). Or, in my experience, Americans (and others from the allied nations) generally continue to approve of the bombings of Hiroshima and Nagasaki, as just since 'the Japanese started it.' It is only when one starts to see oneself, hear the crying children, smell the stench of results of what one does, it is only when one passes through other hoops, that such justifications become untenable. We need to learn other forms of insight fast. Hoopa learns gratitude, becomes able to perceive himself, is no longer conflicted, walks in the light, or becomes Japanese, in harmony with, not apart from the world. In the last part of the movie giant Hoopa spends his time rebuilding that which he has destroyed, only plundering the occasional doughnut. I was moved by the compassion with which Hoopa the destroyer was viewed. Even though he destroyed the humans that fed him, Hoopa was not punished with death, but merely part of him kept in a bottle, since after all, as grandfather says, Hoopa is one of the family. There were only 10 subjects and I did not manage to explain the test too well so three subject did *worse* in the first trial but there was successive proactive inhibition as the subjects were given memory tests on sets of three modes of transport as icons, and a release from proactive inhibition on the forth trial when that fourth trial used words as opposed to icons as used on the previous three trials. 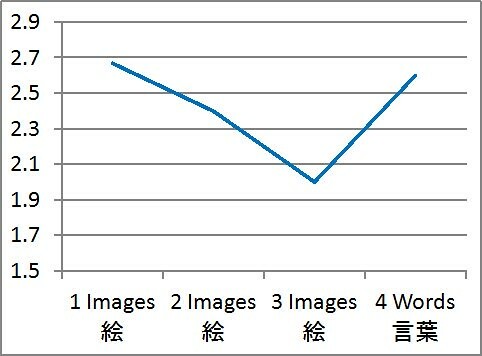 That Westerners gain a release from proactive inhibition when they are shown a fourth trial with pictures, but not a fourth trial with words, following pictures, (Hopkins, et al. 1973) is due to the fact I believe that Westerners will chant (Vygoski) the words for the pictures that they are shown so showing pictures uses up their short term memory for words. 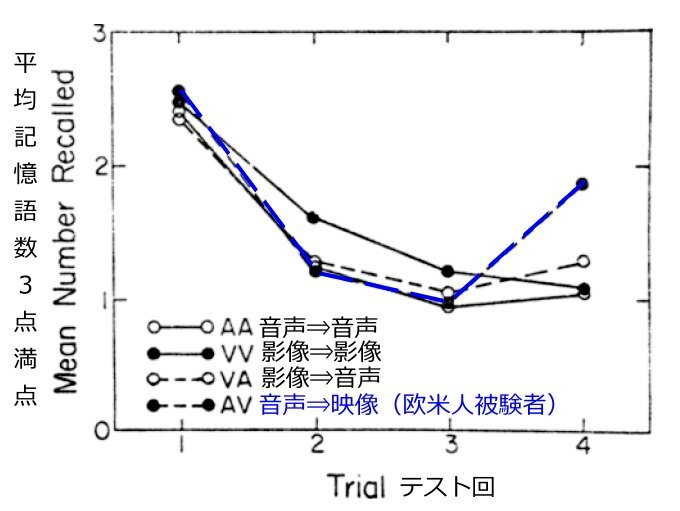 Japanese however, as demonstrated by Kim (2002) do not speak to themselves when they are shown visual problems, so when the fourth trial is words (as above) then their short term memory for words is not proactively inhibited. I also predict the reverse reversal, wherein Japanese will not experience a release from proactive interference when they are presented with a sequence of words to remember followed by pictures because when presented with words they will supply the pictures, "chanting" or rather imagining, or flashing them to their internal-external other. The Japanese Other is internal-external. It is inside the Japanese psyche but outside the Japanese head since it can see their face, and yet has X-ray eyes because it can see their imaginings, underwear, truck "madonna" and car interiors. I wrote all the following before then deleted it by mistake. What follows (who cares!) is a rehash. There are phenomenological or (proto?) physical limits to self deception. The important point is deception. But there are ways that one can deceive oneself that seem (to me now) to be governed by almost Kantian "proto-physical" or "phenomenological" imperatives due to the difference between eyes and ears: eyes can be seen but ears can not normally be heard because they do not make sounds. There are therefore proto-physical, or phenomenological facts that limits the extent, and ways in which one can deceive oneself. I can not deceive myself into thinking that I am seen from any other than an external (e.g. on my shoulder, Pika!) view point. On the other hand, I can deceive myself into thinking that I am heard from an internal ear-point. I can believe that the ear of the other is inside my head. Ears are more passive than gazes since eyes participate in the world of sight, whereas ears are not heard. Perhaps the grammatological requirement that there be a subject if there is an object is of the same order as the above phenomenological limits to deception.